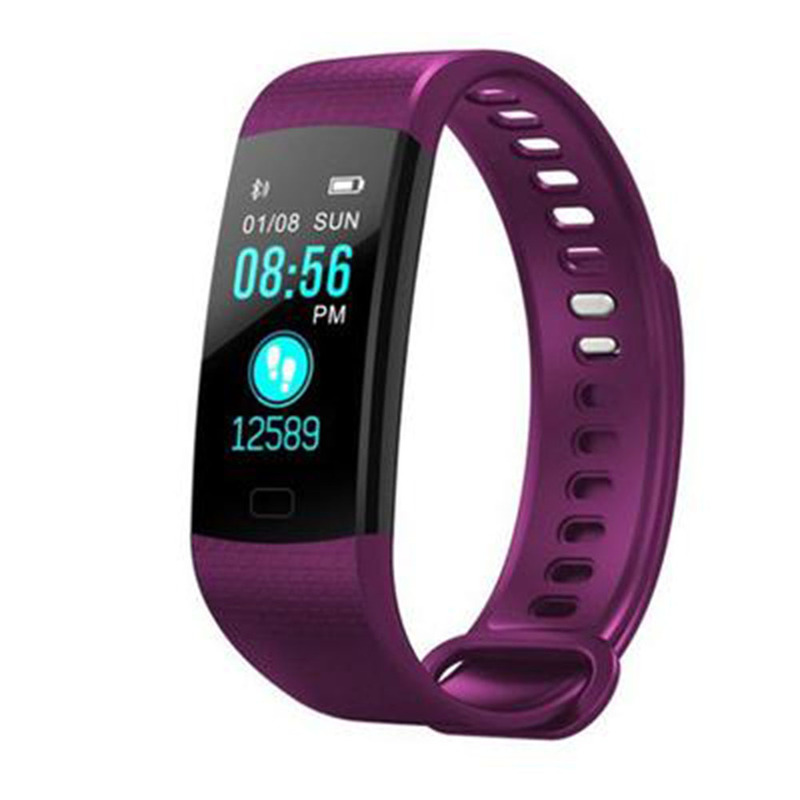 Successfully Added Y5 Smart Watch Bracelet - Heart Rate Monitor, IP67 Waterproof, Color Screen - Purple to your Shopping Cart. Intelligent light-sensitive screen, the screen display under the sun is still clear. One-button heart rate blood pressure and blood oxygen monitoring, convenient and intimate attention to health status. Record the motion status at any time, record the number of steps, distance, calorie consumption, and period comparison data to understand the motion status. Shake take photos, connect the mobile app, open the camera function, shake the bracelet and take a photo automatically.